Beverly Rubik received her Ph.D. in biophysics in 1979 at the University of California at Berkeley. Her scientific areas of interest include consciousness studies; bioelectromagnetics; water, in regard to the living state; and alternative and complementary medicine. Rubik is especially known for her pioneering research on the biofield, the energy field associated with living organisms. Journal of Alternative & Complementary Medicine; Evidence-Based Integrative Medicine; Integrative Medicine Insights; and the Journal of Vortex Science and Technology. Rubik was one of 18 U.S. Congressionally-appointed members of the Program Advisory Board to the Office of Alternative Medicine at the US National Institutes of Health (NIH) from 1992-1997, and chaired the NIH panels on bioelectromagnetic medicine and energy healing. This was the precursor organization that launched the National Center for Complementary and Alternative Medicine, more recently named the National Center for Complementary and Integrative Health. Rubik co-authored two chapters in Alternative Medicine: Expanding Medical Horizons, the first NIH comprehensive report on alternative medicine. Rubik was director of the Center for Frontier Science at Temple University in Philadelphia from 1988-1995, where she founded a journal, Frontier Perspectives, and published scientific reports from scientists worldwide on theories and novel discoveries that challenged mainstream science. 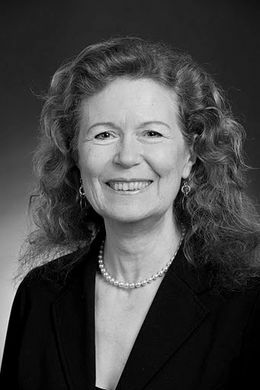 In 1996 Dr. Rubik founded the Institute for Frontier Science (IFS), a nonprofit laboratory, with support from Laurance S. Rockefeller, Sr., to continue her work. In 2002, IFS was awarded an NIH center grant for frontier medicine research on biofield science in consortium with researchers at the University of Arizona. Current research at IFS is focused on detecting new elements of the human biofield. Rubik is also a board member of the Institute for Venture Science. Rubik is a professor at Energy Medicine University and adjunct professor in Integrative Medicine and Health Sciences at Saybrook University, where she mentors doctoral students. She is a popular speaker both nationally and internationally on topics in frontier science and medicine.